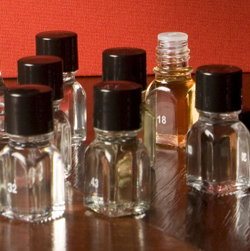 The secret messages of smells. The latest episode of Glee brought viewers yet another tearfest: Quinn quivering tearfully when boyfriend Sam breaks up with her; Sue blinking away tears while singing “This Little Light of Mine” to hospitalized children; Rachel tearing up after a compliment from ex-boyfriend Finn; and a Justin Bieber serenade driving some glee club members into an emotional, teary frenzy. 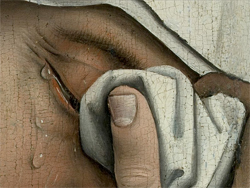 It was enough to make a person wonder: Do tears serve a purpose beyond the obvious expression of emotion? Hints of Oak and Witch’s Urine? Today’s oenophiles have to consider the possibility that their valuable wine bottles may be corked, oxidized, “maderized” (ruined due to over-heating), re-fermented (gone fizzy in the bottle), or sullied by a contaminant. Things were much easier in 16th-century Italy: You could just blame the witches. It was commonly believed that after their satanic midnight Sabbath parties, witches had the nasty habit of invading a village’s wine cellars and sullying the vats with their urine or excrement. This, needless to say, did nothing for a wine’s bouquet. Thousands of European women were being burned at the stake for their evil powers, but somehow the problem could not be controlled.